Vatican Jewelry Rosaries from The Vatican Library Collection! Exquisite Catholic Rosaries! 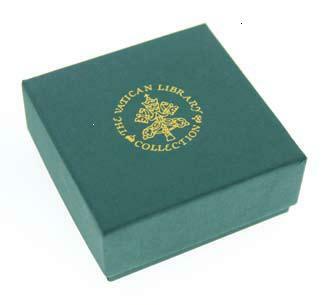 Beautiful Catholic Rosary Beads presented in classic, green gift boxes with a gold embossed Vatican emblem. Vatican Jewelry Rosaries come with FREE Catholic Rosary and FREE Collectible Vatican Postcard!